Richard Scott is an electroacoustic composer and improvising musician specialising in modular synthesizers. He has been composing and performing for over 25 years, recently working with Jon Rose, Richard Barrett, Kazuhisa Uchihashi, Shelley Hirsch, Audrey Chen, Axel Dörner, Ute Wasserman, Michael Vorfeld, Frank Gratkowski and his own Lightning Ensemble. He studied free improvisation in the 1980s with John Stevens, saxophone with Elton Dean and Steve Lacy, and electroacoustic composition with David Berezan and Ricardo Climent. 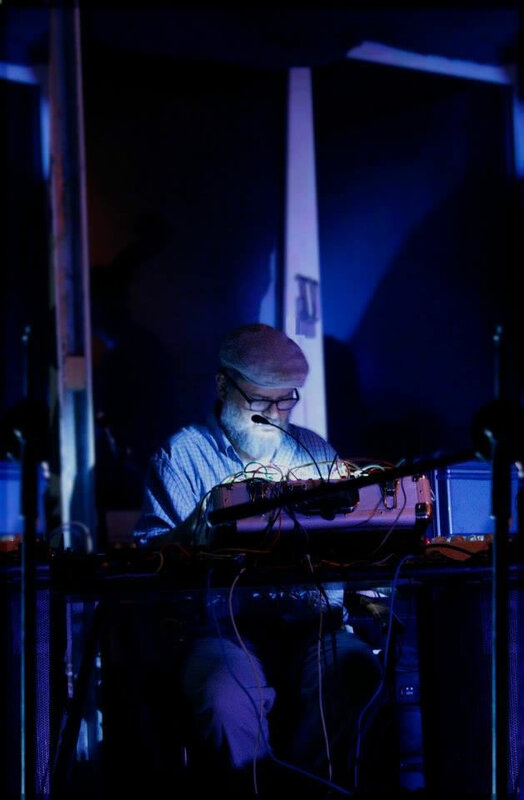 He has released many albums, for example with Grutronic and Evan Parker (PSI records), The Magnificence of Stereo (sruti BOX), Debris in Lower Earth Orbit with Sidsel Endreson and Twinkle3 (CUSP Editions) in 2015, and has a forthcoming solo double modular synthesizer LP, Several Circles (CUSP Editions). He helped initiate the Sines & Squares Festival of Analogue and Modular Synthesizers in Manchester, co-curates two long-running concert series in Berlin (Basic Electricity and AUXXX) and curates his own label and concert series, Sound Anatomy. Richard Scott performing with Shelley Hirsch (voice), Korhan Erel (electronics), Meinrad Kneer (double bass) and Klaus Kuervers (double bass) at the Gumbo, The Greenhouse in Berlin on 12 August 2015.